AEGEE-Passau is the Local of the Month (LoM)! Founded in 1990, it celebrates this year its 25th anniversary, and of course the LoM nomination. This is the reward for the great job it did with the European School 2 (ES2). But the antenna is not only about that event. Its members will help us to find out more. We spoke with Antonia Haftmann and Verena Meier, PR & Marketing Responsible of this bavarian local to know more about them. The AEGEEan: AEGEE-Passau is the Local of the Month. Are you happy about it? Do you think you deserve it? Why? When we got the news, we were quite surprised to hear that we were nominated as Local of the Month. Of course, all of us give their best to support AEGEE-Passau, as well as AEGEE-Europe and it makes us proud to see that our work is appreciated in such a way. Nevertheless, we are totally aware of the fact that there are many other locals which also do excellent work. 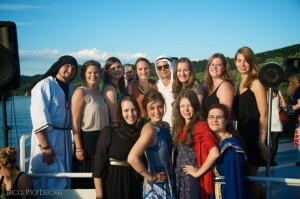 What is the story of AEGEE-Passau? Our Antenna was founded in 1990 by Marco Kalbusch together with 24 other students of the University of Passau. 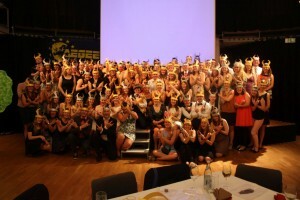 Since the founding, AEGEE-Passau developed constantly. It was and still is very active and among the 10 biggest locals. Our Antenna is really keen on organising at least one big event per year. Thus, during the last 25 years, we organised for example the “One World Convention on Social Business”, the Network Meeting “Pride and Prejudice” as well as “Music Moving People” in 2014. Furthermore, at least one Local Training Course (LTC) per year is part of our regular programme, in order to include our members well in the AEGEE-Network and provide a stable relationship. Besides that our antenna is known as an Erasmus antenna: we are the main contact for all international students coming to Passau. Therefore, we are responsible for the welcome weeks each semester and, what is more, we support them throughout their whole time at the university. What makes our antenna also quite special, is the fact that AEGEE-Passau was one of the first to sign a Twin-Antenna-Contract. In 2013 the contract was signed at the Agora in Mannheim with our dear friends from AEGEE-Delft. Even before that we had a close relationship and each year at least two exchanges to which all of us are always looking forward to months before. 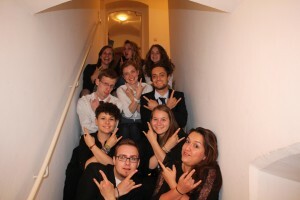 This year, AEGEE-Passau had several reasons to celebrate. Of course, on the one hand, the successful European School 2, but on the other also the antenna’s 25th anniversary. Tell us something about members and the relationship between all of you. The Antenna consists mostly of girls studying cultural studies. We get along very well though and are very happy that there are no cat-fights within our group. Almost all of us are motivated outstandingly and invest a lot time in AEGEE. 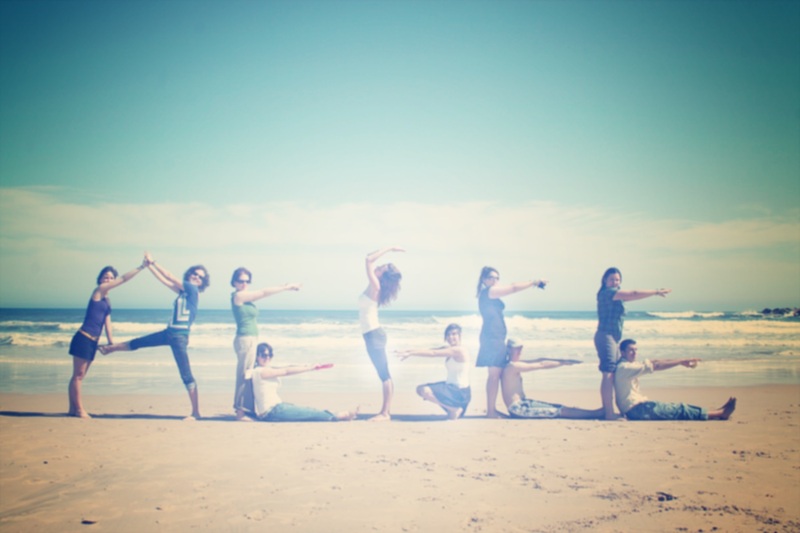 However, the relationships among us go far beyond the weekly meetings. We develop close friendships among AEGEE-Passau and also with other antennae. Our Twin-Antenna from Delft are also like AEGEE-Passau members for us, even though distance separates us. 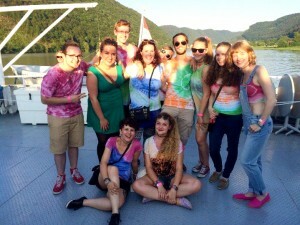 We always talk about “The AEGEE Spirit”, but what is the “AEGEE-Passau Spirit”? We certainly have some symbols to show our sense of togetherness. 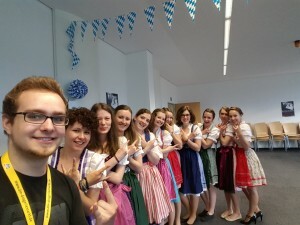 Firstly, AEGEE-Passau is well known for their sign, the crossed arms which always goes along with the “Passauuuuuuuuuuu”-shout. Secondly, starting this semester, we also have a mascot: a dear whose name is still up for debate. Thirdly, we also have shirts and sweaters for our members. This is the visible part of our spirit. But our AEGEE-Passau Spirit can also be seen throughout our daily life: due to the fact that Passau is a small city, you meet members literary everywhere. Thus, we are more like a big family and being in AEGEE-Passau goes far beyond a simple membership. Your antenna was nominated Local of the Month also because the great job you did with the European School. Can you talk us about this event? To put this event in one word: AWESOME! But let us explain that. The days were characterized by intense sessions for participants and trainers. During the nights, however, there were typically fun sessions at the hostel with lots of games such as “truth or dare”. Creative hugging can also be considered as major part of our ES2 routine. Hence, the sense of togetherness between participants, trainers and organisers was established extraordinarily fast. We can tell for sure, that we all love each other now and the ES2 remains unforgettable for each one of us. We expect everyone to come back to Passau soon, if only because of the delicious food. One, for example, came already back to visit us. Finally, what are the future plans of AEGEE-Passau? For our future, we want to continue to organise at least one European Event per year in Passau. We are, for example, now in touch with the two other Bavarian Locals Bamberg and Munich, to start a Travel Summer University through Bavaria. Furthermore, we plan to integrate more European Projects in our daily schedule, in order to make our members more aware of them. Our aim is to motivate more of our members to be not only committed to the local level, but also to the European one. Thanks to our members, AEGEE-Passau has become a very stable and successful antenna during the last 25 years. Over these years, lots of knowledge was accumulated and we would be more than happy to support other locals with our experiences.